Purpose: The USA Powerlifting (hereinafter referred to as “the Federation”) Anti-doping Rules define the rules under which anti-doping efforts are carried out within the Federation. They are based on the International Powerlifting Federation (IPF) Anti-doping Rules and assure compliance with the guidelines of the IPF and the World Anti-doping Agency (WADA). The intent of the USA Powerlifting Anti-doping Rules are to harmonize anti-doping efforts of these respective bodies, and to define the conditions under which exceptions may be made from the IPF Anti-doping Rules as is defined within those rules. Where no exception exists, all tenets of the IPF Anti-doping Rules are in effect. 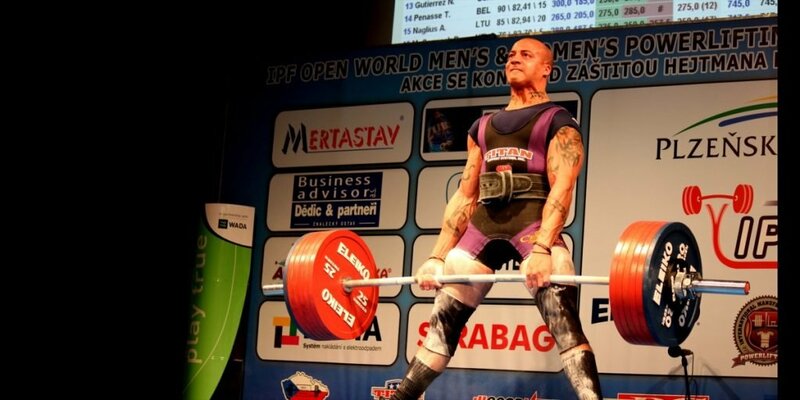 Where the IPF Anti-doping Rules refer to the International Powerlifting Federation or IPF, the USA Powerlifting Anti-doping rules substitute USA Powerlifting. Introduction: No differences from IPF Anti-doping Rules. Article 1: No differences from IPF Anti-doping Rules. Article 2: Anti-doping Organization as relates to competitions sanctioned by USA Powerlifting is USA Powerlifting. Article 3: USA Powerlifting reserves the right to request and complete analyses from accredited Forensic Laboratories which meet the standards as set out in applicable bodies which certify such facilities. Such analyses will be applied to those athletes which are international-level athletes, national-level athletes, or those who compete at below the National level. In joining USA Powerlifting, athletes, by their signature, accept these procedures. The International Standard is defined for the purposes of anti-doping tests authorized by USA Powerlifting as accurate and correct completion of the chain of custody documents and receipt of the results of the analysis from the Laboratory. The chain of custody information must be consistent between all documents related to an athlete’s sample. The burden of proof of departure from International Standards rests with the athlete who is alleged to have committed the anti-doping infraction. If a departure from international standards is established, USA Powerlifting must prove that such a departure did not impact the integrity of the analysis. Article 4: No differences from the IPF Anti-Doping Rules. Article 5: Selection of athletes for testing will be accomplished by the Chair of the Ad Hoc Out-of-Competition Sub-Committee, Members of the Jury present at select events, or representatives of USA Powerlifting, defined as State Chairpersons, State-level or above referees, or competition organizers. Regardless of who selects that athlete for drug testing, he or she may not refuse to undergo testing and will receive consequences for such a refusal as defined in the IPF Anti-doping rules. All athletes selected for National or International competition are subject to inclusion in the Registered Testing Pool. They will be requested to complete the Athlete Locator Form. Failure to do so within 14 days will result in the athlete being rendered ineligible for competition for a period of one year. Athletes included in the Registered Testing Pool shall remain in the Registered Testing Pool until notified by USA Powerlifting that they have been removed. Article 6: Athletes who are members of USA Powerlifting, and who participate in USA Powerlifting sanctioned events may have analyses conducted by accredited Forensic Laboratories, or at the discretion of USA Powerlifting, WADA Accredited Laboratories. No distinction is made in terms of presumptions of guilt, burdens of proof, or sanctions based on type of laboratory used. Any sanctions for adverse analytical findings or other disciplinary matters related to doping violations will be published on the USA Powerlifting Anti-doping Suspension List. The IPF will be notified within 30 days. Article 7: The Chair of the Ad Hoc OMT Committee will serve as reviewer to determine if the analysis was performed in accordance with International Standards. Those which are determined to have met the International Standard will be forwarded to the National Office of USA Powerlifting for notification of the athlete that an adverse analytical finding has been received. The athlete will be notified of such infraction(s), and procedures provided for analysis of the B sample. Any challenge of the results of an adverse analytical finding of an A sample must be initiated by request and payment for the B sample analysis within the timeframe specified in the athlete notification. Failure to do so within this timeframe will constitute definitive proof that an anti-doping violation has occurred. Judgments related to anti-doping violations will be administered by the Anti-doping Hearing Panel, hereinafter referred to as the “Panel.” The Panel will be comprised of those with expertise in doping-related matters and related fields. It will be comprised of three members as appointed by the USA Powerlifting Executive Committee. The President of USA Powerlifting shall serve as an ex officio member of the Panel. Athletes accused of an anti-doping violation may request a hearing and submit evidence to the Panel in a manner consistent with the IPF Anti-doping Rules and the Anti-doping Hearing Panel Procedures. The IPF Anti-doping rules allow for a hearing before a “National Hearing Body” in the case of an anti-doping rule violation resulting in sanction against an athlete not subject to WADA testing, and who is not a national or international level athlete. Within USA Powerlifting, this body is designated as the Custodial Board, hereinafter referred to as the “Board.” The Board will be comprised of the Chair of the Anti-doping Hearing Panel, the Chair of the Discipline Committee, the Chair of the OMT Sub-Committee, the President of USA Powerlifting, and the USA Powerlifting Corporate Counsel. USA Powerlifting shall submit the judgment rendered by the Anti-doping Hearing Panel. Evidence may be presented to the Custodial Board by the athlete accused of a violation of these anti-doping rules. The Custodial Board will examine such evidence and render a decision within 30 days. The primary mechanism for presentation of evidence is via written material. Should an athlete request an in-person hearing before the Board, he or she must bear the cost for attendance of the members of the Board. Such costs will be assessed prior to scheduling an in-person hearing before the Board. National or international level athletes subject to WADA testing must appeal to the Court of Arbitration for Sport. Article 8: Right to a Fair Hearing: Judgments following initial notification will be rendered by the Anti-doping Hearing Panel. There is a presumption of fairness and members will examine the relevant information in an open manner absent bias. For anti-doping tests administered by USA Powerlifting, judgment may be appealed to the Custodial Board, as described above. Following conclusion of the Custodial Board proceedings, should the athlete wish to engage a further appeal, he or she may appeal directly to the Court of Arbitration for Sport within 21 days. Failure to file within the 21 day period after the Custodial Board has ruled results in the athlete forfeiting his or her right to appeal. Article 9: No difference from IPF Anti-doping Rules. Article 11: No differences from IPF Anti-doping Rules. Article 12: IPF Anti-doping rules are not applicable. USA Powerlifting shall assess fines in accordance with IPF Anti-doping Rules, being $2,500 for first and second offences. Administrative and legal costs may be assessed in addition. Article 13: No difference from IPF Anti-doping Rules. Article 14: No difference from IPF Anti-doping Rules. Article 15: No difference from IPF Anti-doping Rules. Article 16: No difference from IPF Anti-doping Rules. Article 17: No difference from IPF Anti-doping Rules. Article 18: No difference from IPF Anti-doping Rules. Article 19: No difference from IPF Anti-doping Rules. Article 20: No difference from IPF Anti-doping Rules. Article 21: No difference from IPF Anti-doping Rules. Article 22: No difference from IPF Anti-doping Rules.